Lot 68 Brass LNER 9 x 5 Oval Steam Locomotive Worksplate. 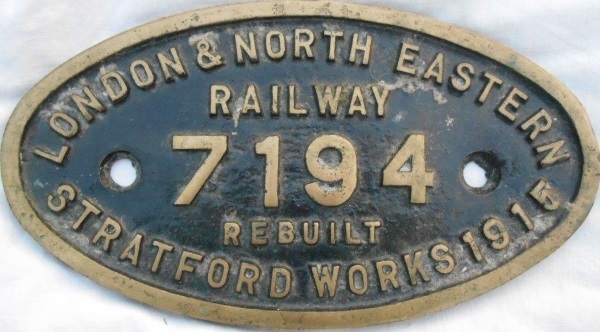 "LNER – 7194 – Re-Built Stratford Works 1915" As carried by a F5 - 2-4-2T loco built at Stratford Works 31/10/1904. First LNER number 7781 becoming 7194 then BR No 67194 in 1948. Long time 30A Stratford engine. Withdrawn 31/10/56. Cut at the works. Good condition.